A reader named Paul recently wrote in asking for recommendations for a good business checking account. He’s been dealing with Chase, which has recently instituted a $20 monthly fee for accounts with balances below $7500. Ouch! My personal experience has been with a “Business Economy Checking Account” from Bank of America, which pays zero interest and has a $3k minimum to avoid a $15 monthly fee. Not as bad as Chase, but not good. The primary reason that I’ve been using BofA for this is convenience. We use them as our local brick and mortar bank so it’s easy to use them for business banking, too. Unfortunately, the best business banking deals are typically fairly localized, making it difficult to make recommendations on a national basis. In fact, the minimum balance and fees listed above for the Business Economy checking account vary by state, and may or may not apply to your particular situation. One intriguing option in the realm of online banking is the business savings account from ING Direct. There’s no minimum balance requirement, no monthly fees or service charges, and it pays 0.50% interest. The downside is that it requires a linked business checking account at an outside bank. In other words, the ING option is really just a way of bumping up your interest rate if your business needs to keep cash on hand. It also provides a way to expand your FDIC protection, as separate coverage limits apply to different banks. But aside from those benefits, it doesn’t really solve the problem at hand. Another option is the HSBC Business Direct account, which has no minimum balance requirement and offers free wire transfers (10 per month), ATM access, free online billpay, etc. While they don’t appear to pay interest, you can link your account to a business savings account to improve your returns. And now, dear readers, I’ll turn it over to you… What are the best business banking deals that you’ve run across? HSBC just notified their business checking customers that accounts with balances under $100,000. will be closed. This bank is GREEDY and foreign owned!! This is outrageous. We not only closed the account but all our business, personal and investment accounts too. They refused to link all account balances which easily exceed their $100, 000. target. They are also not making business loans regardless of creditworthiness. Looks like they don’t want business customers. Let’s see them make a go with just personal banking. 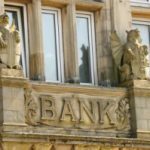 If they want to get out of business banking, that may be the warning sign that they will soon close shop altogether. And the sooner the better! BB&T bank has a no monthly service fee for small business checking account. We currently use Wells Fargo. I would advise staying as far away from them as you can! They started charging us for everything they quoted as free shortly after we opened the account, even online bill pay. 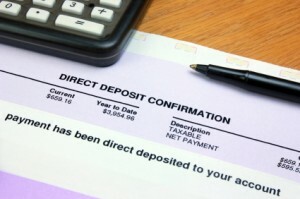 I keep noticing “bank originated debits” on my statements with no explination. The latest was for $2000! WF’s explanation was it is a computer generated error. I am looking to report them to the proper autority. Any suggestions? Bank of the West has a business account that is free with $3,000 bal or $10 monthly fee. Fifth Third DOES charge a monthly fee for their business checking, something like $18. That’s what I currently use and would not recommend it. They have the highest overdraft fees of ALL banks and will refuse to refund them even if you only make the mistake one time in 15 years of being a customer. Just got burned and am looking for a new bank. Etrade has a good free account. EverBank.com offers business checking and money market accounts. Its small business checking is free without monthly service fees. We use Fifth Third. No monthly fees and no minimum balance required. They have branches in Kroger so they are open later than other banks which is a plus for those with 9-to-5 jobs that can’t make it to the bank during the day. Sorry, ING was going to be my suggestion. Maybe Ally? Does Paul have a big credit union in his area that has locations around the main areas he stays in? Around here, First Community Credit Union is in pretty much all Krogers where I shop. Anyway, good luck!